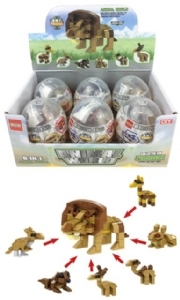 Plastic capsules containing 6 assorted animal themed building brick sets. Collect all 6 and combine together to make one large model. Capsule size 8 x 6.5cm.